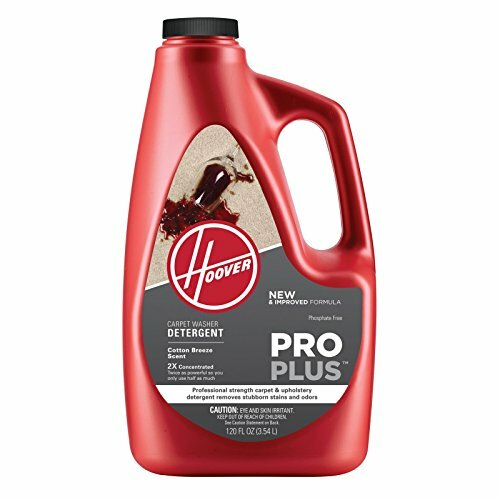 New proprietary advanced formula makes this Hoover best cleaning biodegradable detergent. Twice the concentrated power and friendly for the environment with a 100percent biodegradable formula.Instructions:Before Cleaning: Test a small hidden area of carpet for color fastness. If color changes, do not use. For upholstery, read manufacturer's cleaning tag. Use only on items coded "WS" or "W". Directions: 1. Vacuum carpet. 2. For best results, pre-treat tough stains. 3. Shake contents well. 4. Add 3 ounces per gallon to warm water in the clean water tank. For AutoMix machines, fill solution tank.5. Vacuum once your carpet has dried.